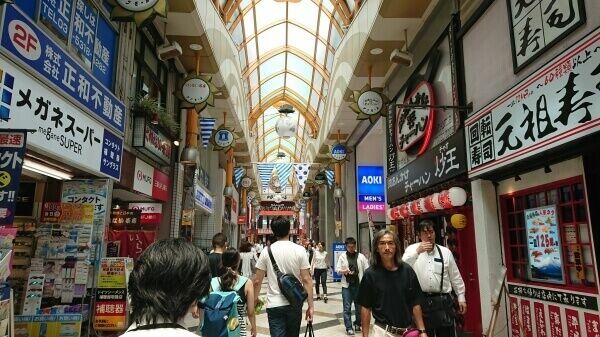 Nakano is a multi-story shopping complex with stores selling amine, manga and other popular culture goods. 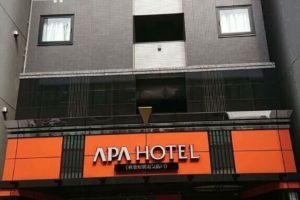 It started as an apartment a3nd shopping complex opened in 1966. when the Japanese lifestyle was heavily influenced by the US. After the decline of the Japanese economy, it became known as Subculture Heaven thanks to a small manga store Mandarake that had been there since the 80-s which have opened the way for other similar shops. However, Nakano Broadway is a unique mix of old anime and games stores and small, local-based businesses. 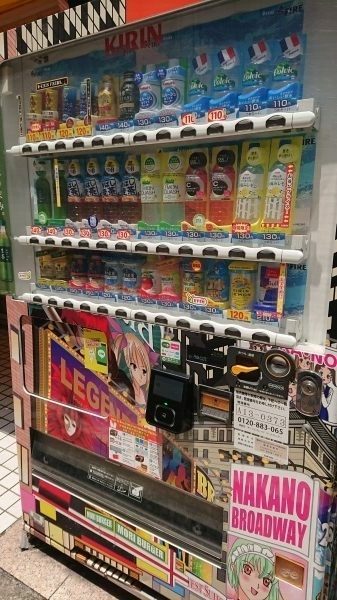 Recently, it also got recognized as one of the starting points of venture business in Japan, including BitCoin and 3D printers. If you use North exit of Nakano station, you should see a small alley leading there just across a small square. 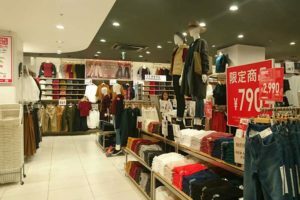 Aside from a few popular retailers, such as UNIQLO, there are many small boutiques where clothing items are often under ¥1000. The atmosphere is more similar to Kansai streets than it is too high-tech, contemporary Tokyo. 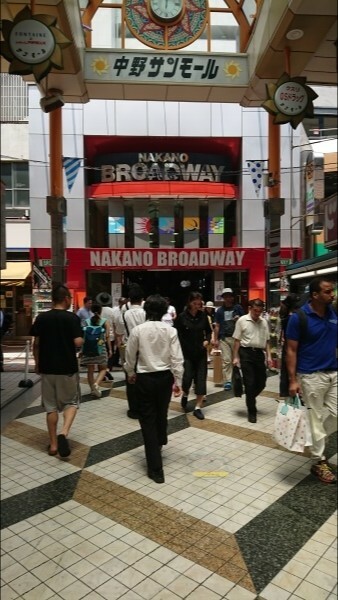 At the end of the street, you should see a big sign that says NAKANO BROADWAY. 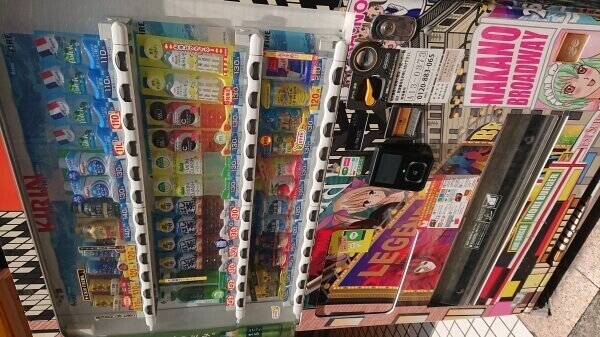 In accordance with the theme, there is even an anime-inspired vending machine. As soon as you get in, you are welcomed with the store that started the subculture trend in Nakano. Mandarake Mon is located just by the south entrance and specializes in Ghibli-related goods and exhibition. 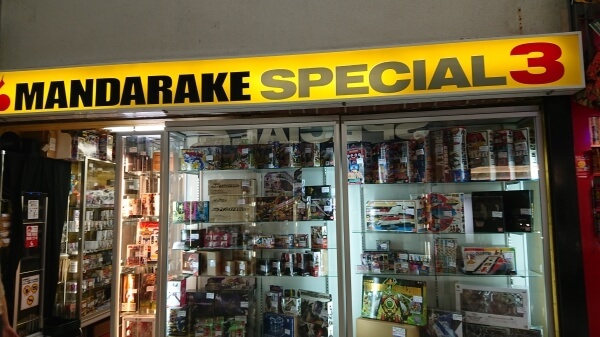 As this is our first article about Nakano Broadway, we dedicated it to all different Mandarake stores you can find here. 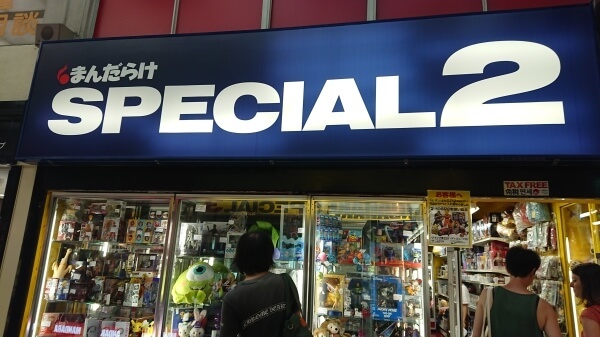 Actually, there are 25 Mandarake stores in the complex, each offering something different. The only Mandarake store on the first floor is Mandarake Mon where you can buy Ghibli-related goods. 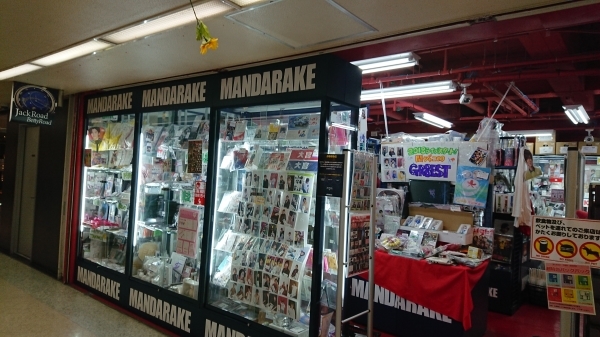 Mandarake Card is a hobby store that sells trading cards and stickers. 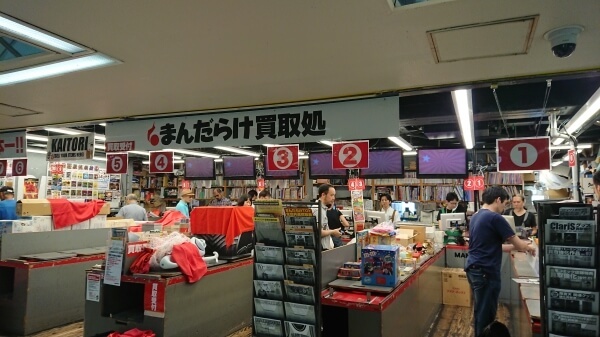 Mandarake Galaxy is a typical game store with big selection of game software and consoles, gameplay guidebooks and magazines regarding Nintendo, Super Nintendo, Game Boy, PC engine, Sega Saturn, Dreamcast, PlayStation and 3Ds. 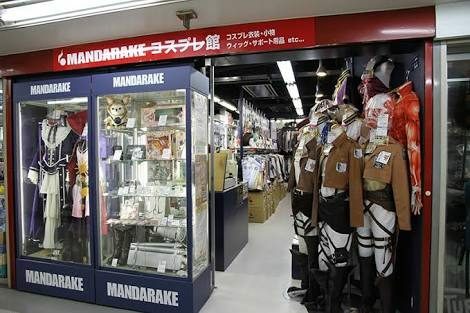 Mandarake Cosplay is a costume store offering new and second-hand costumes, wigs, underwear and Mandarake original costumes. Mandarake Special sells Chogokin toys, Kaiju sofubi, action figures, garage kits and many more figurines. Mandarake Special 4 carries old capsule toys, PVC and trading figures, and bishojo related items. Mandarake Special 5 has American comic book toys, artist toys, and BE@RBRICK. Mandarake Deepis a fun store that specializes in self-published men’s dojin comics and many dojinshi related items. 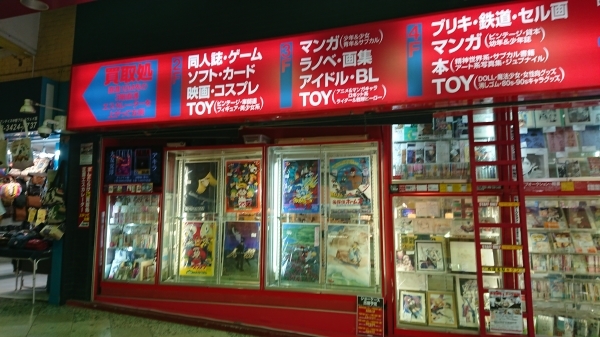 Mandarake UFO sells Anime and Tokusatsu DVDs and Blue-rays, anime, voice actor, and game-related CDs. 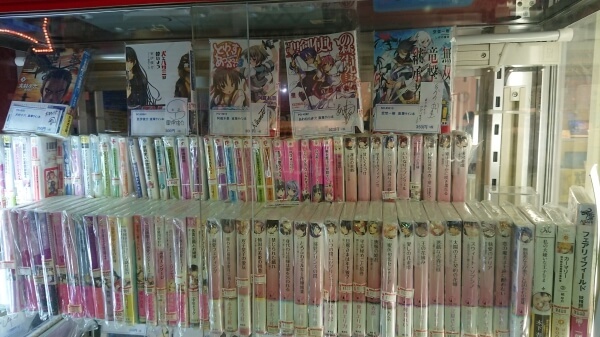 In Mandarake Live you can find new and second-hand dojin comics and dojin inspired items for women. Although it is targeted towards women, men are welcomed, too. Mandarake Micro Kan is an interesting store that mostly sells erasers and food samples from the 90s and 80s. They are very tiny and adorable to look at. It recently started selling Ghibli goods popular among adults. 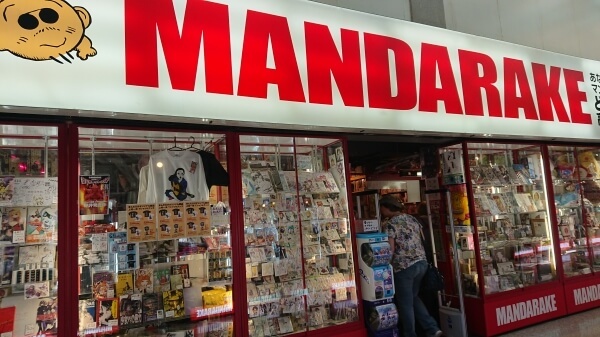 Mandarake Headquarters sells shonen and shojo comics (boys’ and girls’ comics), BL comics and novels and male idol items. It is a huge manga store that has a variety of comics with new titles coming every day. 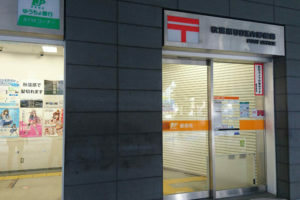 As if one Headquarter wasn’t enough, there is Mandarake Headquarters 2 that carries young adult and adult comics, subculture comics, light novels anime and hobby magazines and anime picture books. Mandarake Special 2 carries Kamen Rider and Sentai heroes, Macros toys and plastic models of anime characters. Mandarake special 3 specializes in Evangelion, Gundam, Disney, anime and video game related items. 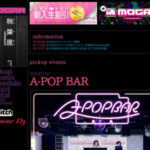 Mandarake Infinity sells goods related to J-pop ane K-pop male idols. 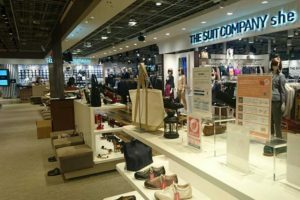 Here you can find a large selection of Johnnys’ products. Mandarake Kaitoridokoro buys second-hand goods. In case of a rare or a valuable items, the store owner himself appraises it. Mandarake Kaiba will get you a break from anime and manga world selling only art photo books, subculture books, and junior novels. 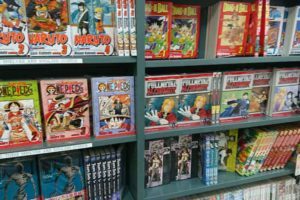 Mandarake Anime Kan sells anime cells from animation movies, scripts, and anime references. 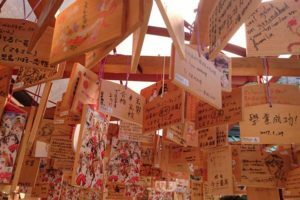 Mandarake Henya has a Torii gate instead of a door which serves as a portal through time because it carries goods from the Showa period, antiques, vintage toys and advertising novelties. 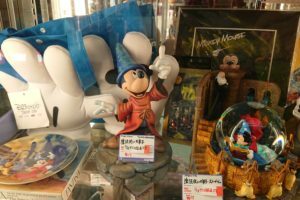 We have written about Mandarake before but only in Broadway can you see all the different stores they have. Even if the whole complex were a large Mandarake store, it would make for an exciting afternoon. 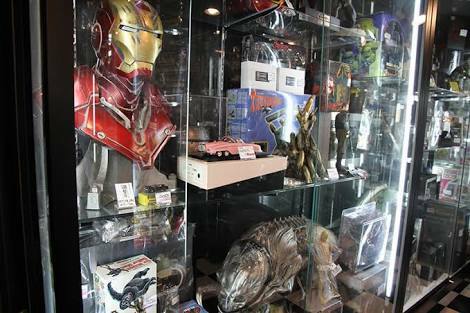 It has everything from trading cards and figures to fan-made products and costumes.